Dolby Announces Powerful new tools for audio professionals to create, mix, master, and edit high-quality Dolby Atmos content for Blu-ray, digital delivery, gaming, and virtual reality. Following Avid's announcement of Dolby Atmos Integration into Pro Tools HD, Dolby have just announced two new Dolby Atmos software bundles that work in conjunction with Pro Tools. The two software suites are Dolby Atmos Mastering Suite and Production Suite. 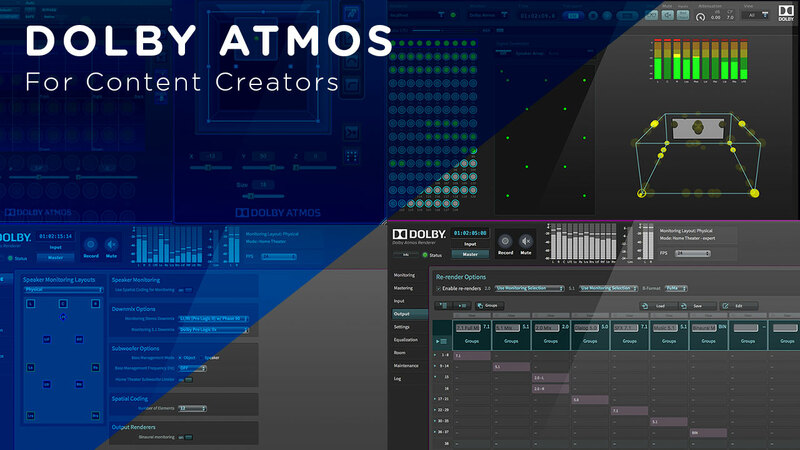 The Dolby Atmos Mastering Suite is a set of tools designed to allow a post-production facility create, edit, mix and master high-quality Dolby Atmos content for Blu-ray and Digital Delivery. It provides all the necessary software for a facility to build their own Home Theater RMU (Rendering and Mastering Unit), as well as enable edit and pre-mix rooms to work with Dolby Atmos content that feeds into the main mix room. RSPE is a Certified Dolby Atmos Mastering Suite Dealer. Contact RSPE to purchase Dolby Atmos Mastering Suite for your studio or to find out more about the Dolby Atmos workflow.